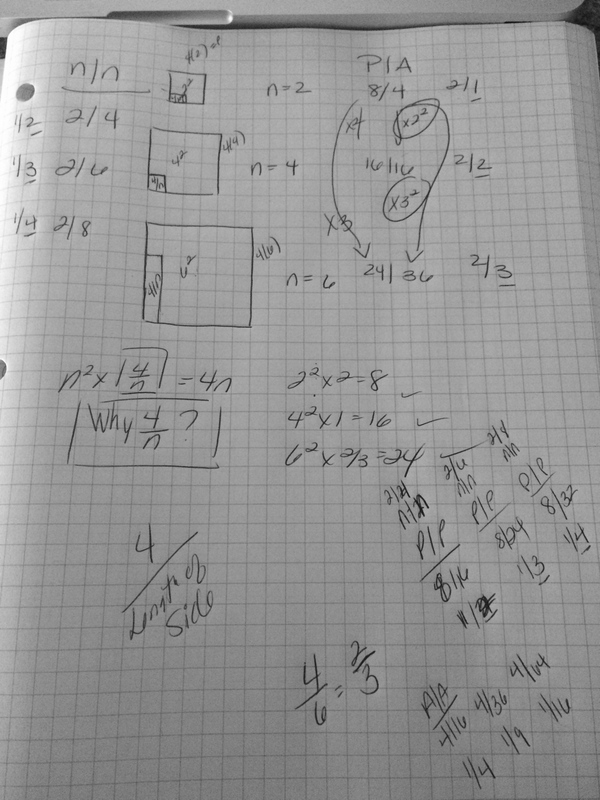 I am finding the same thing is happening again…algebraically I have it, but struggling with the conceptual connection. 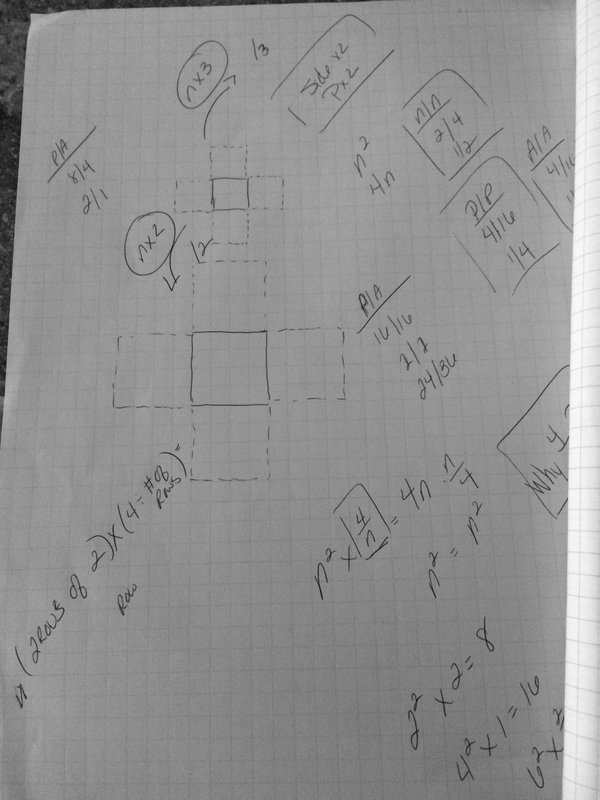 I have a bunch of theories scattered on my papers this morning, but nothing that is satisfying me mathematically and would appreciate any thoughts…. 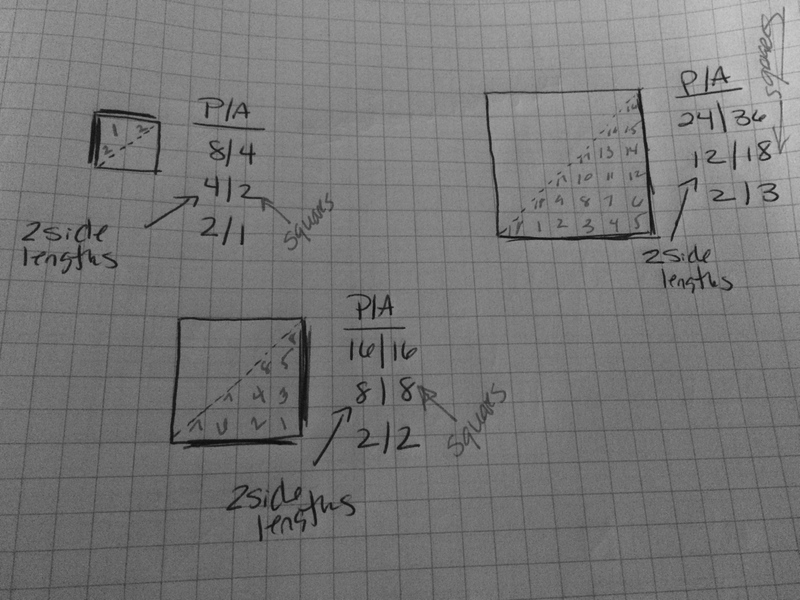 This entry was posted in 5th Grade, Perimeter and Area, Uncategorized on January 4, 2015 by mathmindsblog. Here is a clue: the lines inside. 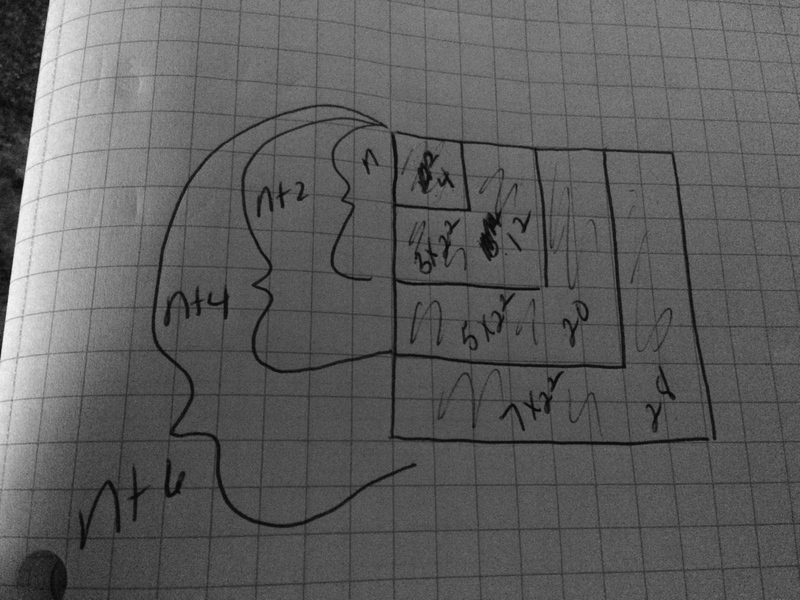 4/n = 4 sides per 1 square unit? (2) Explore how this ratio works for other shapes: equilateral triangles and circles would be good places to start. (3) Remember properties of scaling: lengths grow proportionately and areas with the square of your scaling factor.